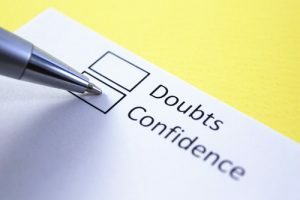 Your self-confidence can affect the quality of your life. If you’re confident about yourself and the things you can do, you’ll be motivated to accomplish more tasks. You’ll be able to stand out from the crowd, which can open several opportunities for you. But if you’re someone who’s always shy, you’ll never experience any of these. You’ll end up turning down several opportunities because you think you’re not good enough. You’ll stay inside your comfort zone all your life because you’re too doubtful of yourself. Stop comparing yourself to others. Regardless if it involves your salary or social status, comparing yourself to others isn’t healthy at all. Many studies have confirmed that envy and self-confidence are linked to each other. The more you envy others, the more you think less about yourself. This is a vicious cycle which you should never get into. Instead of thinking about the things you don’t have or how people think of you, focus on improving your skills. Life isn’t a race to be won. Always take care of your body. You’ll never feel good about yourself if you’re abusing your body. Sleeping for less than eight hours, not including healthy foods in your diet, and skipping exercise will eventually compromise your well-being. And once this happens, you may lose the reason to be confident about yourself. This is the reason why self-care should always be on top of your to-do list. Go ahead and run for a few minutes every day or visit your local spa during your day off. When you like the person you see in the mirror, being confident will come out naturally. Practice self-compassion. Many people want perfection, but only a few actually achieve this goal. If you’re one of the latter, never be too hard on yourself. Sure, you can allot time to weep for your failures, but make sure that you do it in a healthy way. Always treat yourself with kindness and forgiveness whenever you fail or commit a mistake. 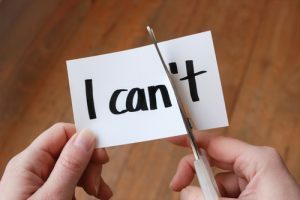 Talking to yourself negatively will only demotivate you. Learn from your mistakes and move on. Stay away from negativities in your life. In today’s fast-paced environment, negativities will be all around you. You’ll easily find negative comments on social media and even in your own circle of friends. If these aren’t contributing to the improvement of your self-confidence, do your best to avoid these things. Limit your technology use and carefully pick your friends. Your life shouldn’t be focused on the problems popping every now and then; it should be about making positive changes in yourself. Improving your self-confidence isn’t a task that can be done overnight. This is a long-term commitment that will require time, patience, and determination. Aside from consistently following the tips from this article, consider tapping the help of professionals. There are trained and experienced psychologists who can provide tailored solutions for you so you can feel confident and become the best version of yourself! Copyright © 2019 TG Psychology. All Rights Reserved.